A tradition of making arrangements simpler at a time when little else seems simple. 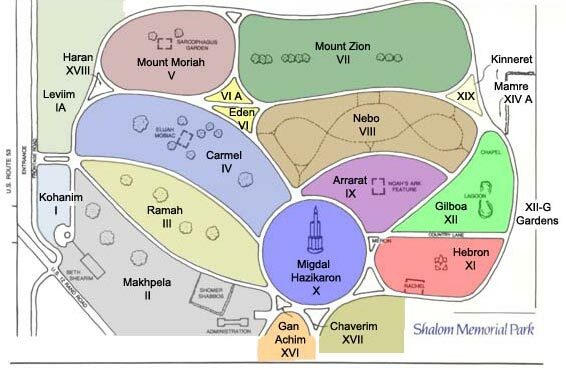 Shalom Memorial Park has been providing personal, distinguished cemetery services in a serene setting to Chicago-area Jewish families for more than sixty years. Over the last several years we have expanded our services to meet the Jewish community’s growing need for a funeral home on the grounds of Shalom Memorial Park. Today, Shalom Memorial Funeral Home offers complete funeral services at Shalom Memorial Park, as well as at any cemetery in the Chicago area. Since cemetery and funeral services are in one location, families can leave the planning to us. Mourners can focus on what matters most: honoring their loved ones. The staff of Shalom Memorial Park and Shalom Memorial Funeral Home is a caring team of certified and experienced professionals. We are dedicated to families needing comfort, assurance, and support during this difficult time. We are here for the long term: many of our staff, from grounds crew to management, have been with us for more than 30 years. 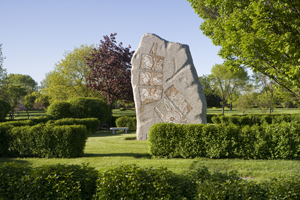 Shalom Memorial Park has impeccably groomed grounds and beautiful on-site sculptures and artwork. We are the most contemporary Jewish cemetery in the Chicagoland area. Maintaining the serenity of our peaceful environment — buildings, grounds, and gardens — is a vital commitment to loved ones buried at Shalom. Throughout the year, Shalom meticulously attends to and cares for every grave. A portion of the fee for each plot purchased ensures perpetual care, meaning future generations will never be asked to pay for upkeep. Each family can rest assured that their loved one’s grave will always be clean and well-maintained. Shalom Memorial Park and Funeral Home are active members of local, national, and global Jewish communities. We have longstanding relationships with Chicago – area synagogues and organizations. We offer a number of services to the community, including Kever Avot services, a Jewish War Veterans Memorial, a Holocaust Memorial, and a genizah program.